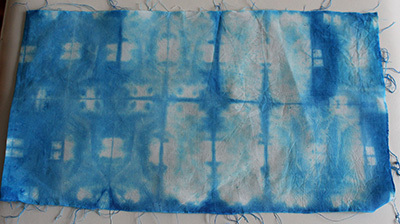 Fascinating blue and off white hand dyed fabric, created using traditional shibori techniques. 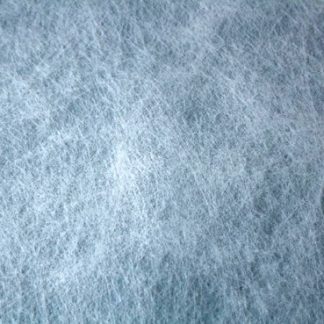 This fabric is 100% cotton and suitable for any sewing project. 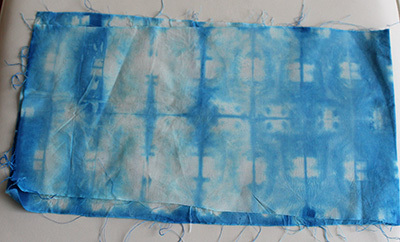 It is hand dyed in a process of soaking, folding, tying or binding, hand dyeing, rinsing. 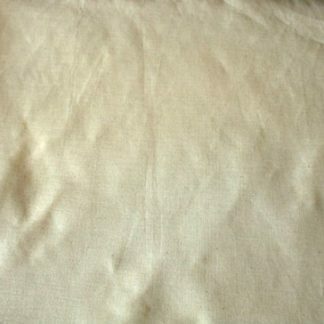 The fabric is 100% medium-weight calico cotton. The dyes are cold water reactive dyes. This product is hand made in a smoke-free, pet-free environment. The fabric can be used for sewing or stitching and is useful in patchwork and quilting. This piece measures 101 x 24 cm (approx 39 x over 9 inches). 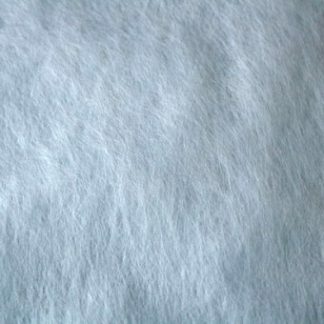 I have shown both halves of the fabric as it was folded to photograph it.